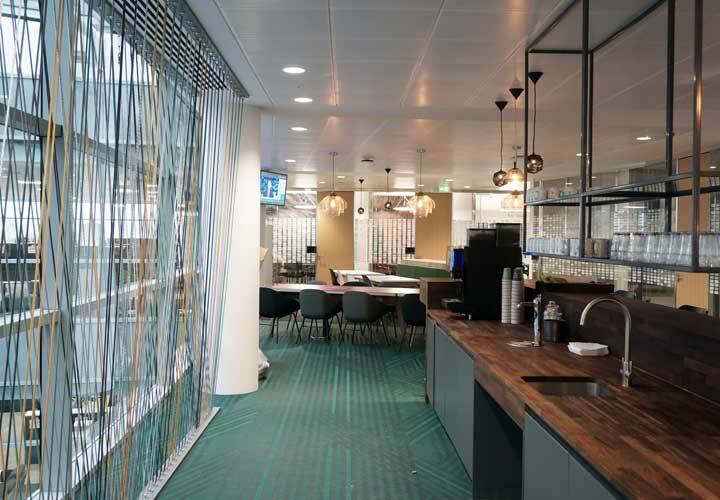 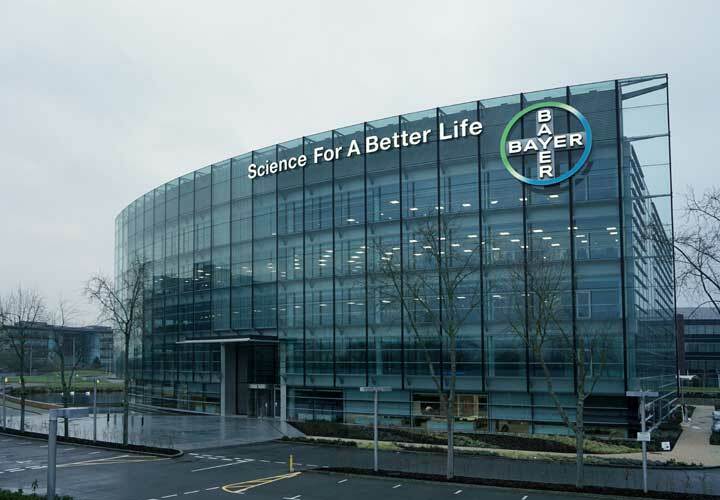 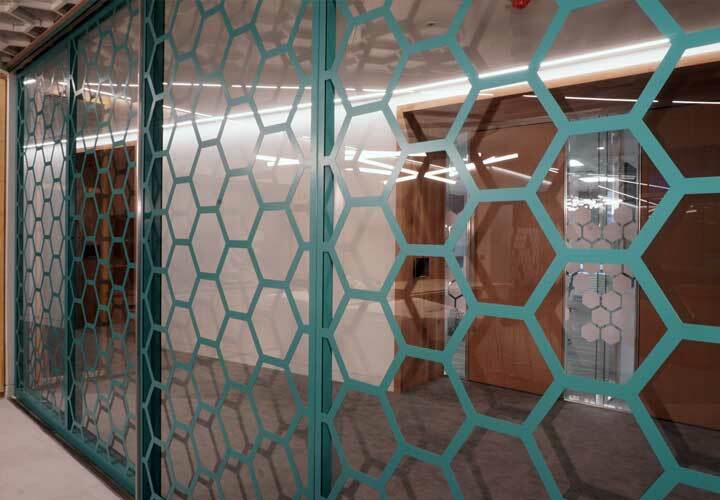 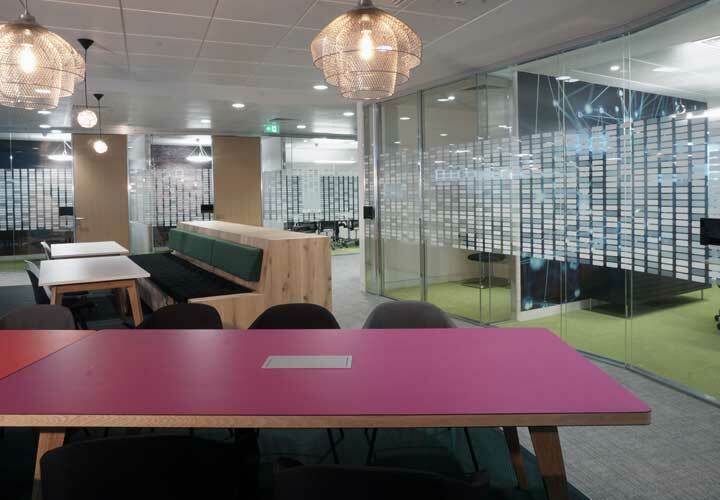 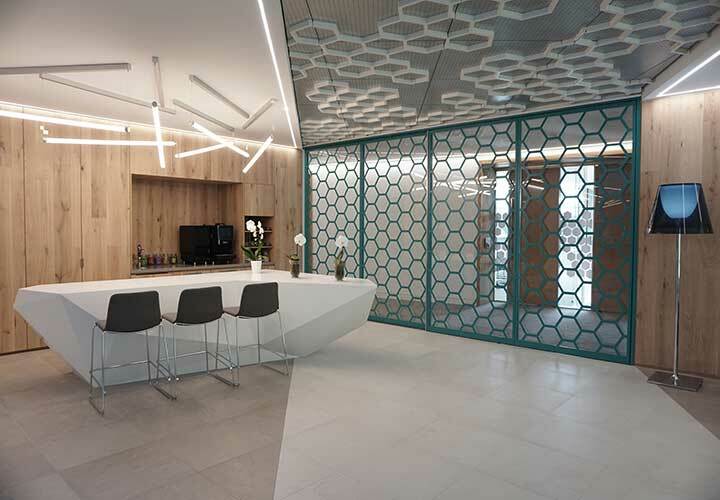 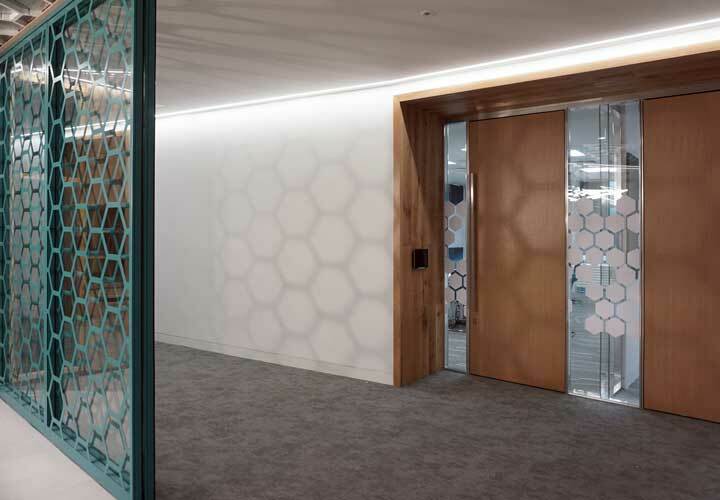 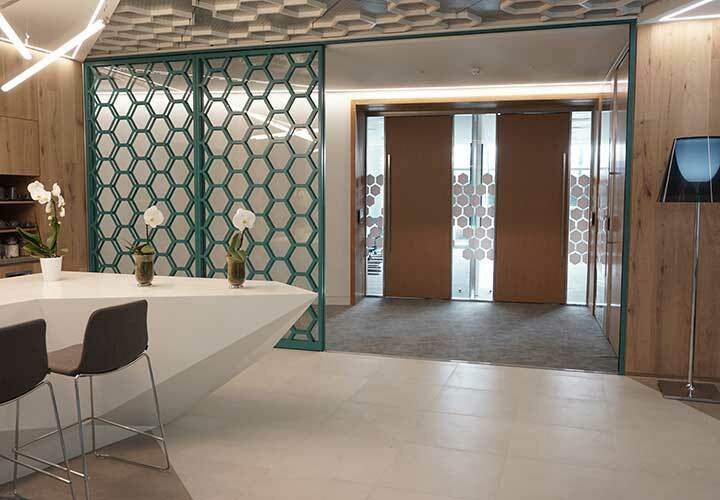 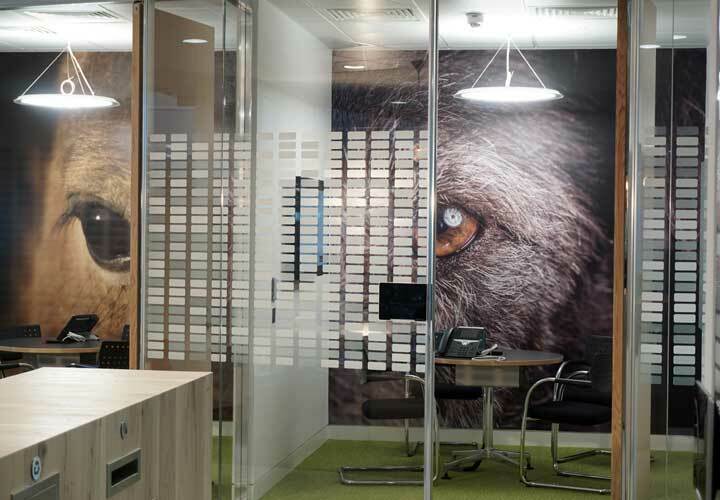 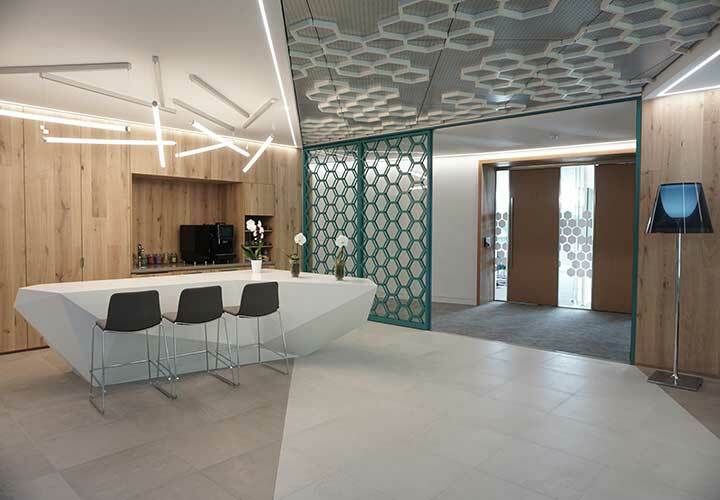 A self-contained Headquarters building in the Reading Green Park area, with new interiors designed to promote the Client’s need for flexibility and provide an attractive stimulating environment for permanent or travelling staff. 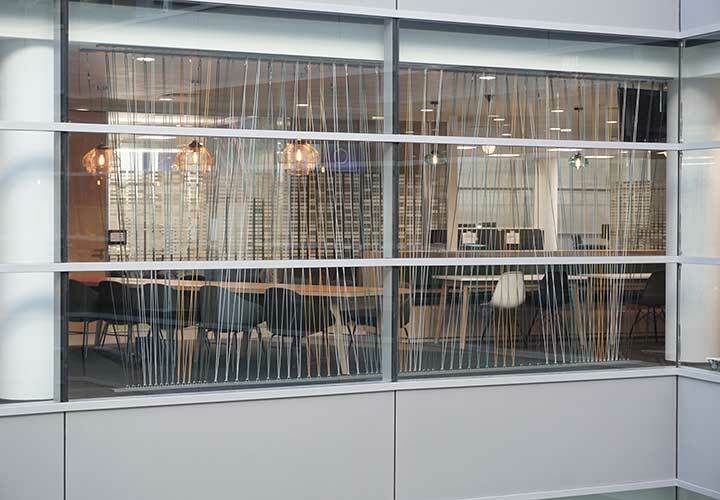 The layout caters for a variety of work environments as each spot (desk, counter, table, free seating area, curtained area, screened area, meeting area) is selected on a first come first served basis, always supported by the wireless network that enables the user to move areas throughout the day. 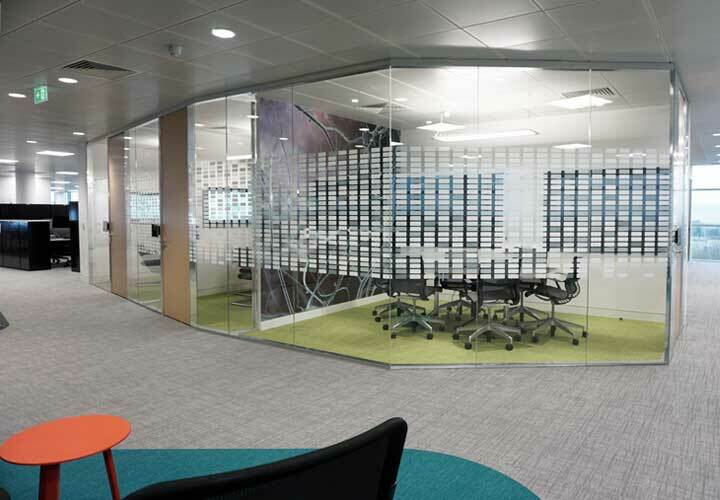 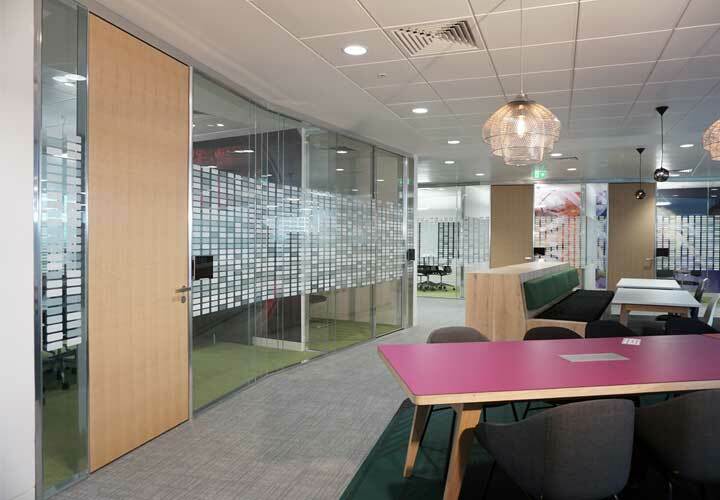 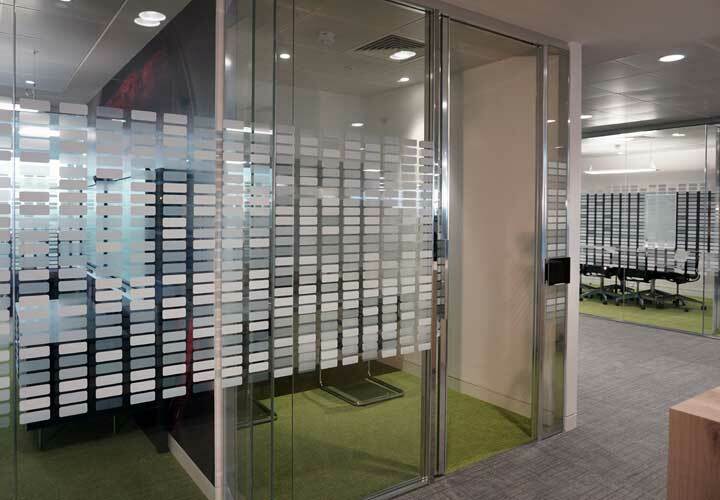 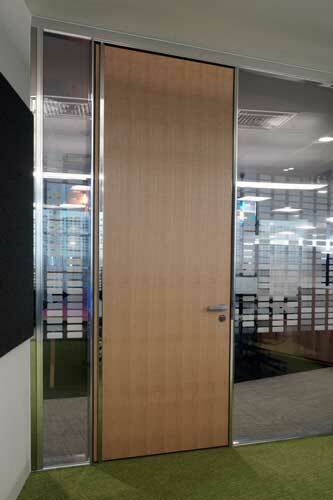 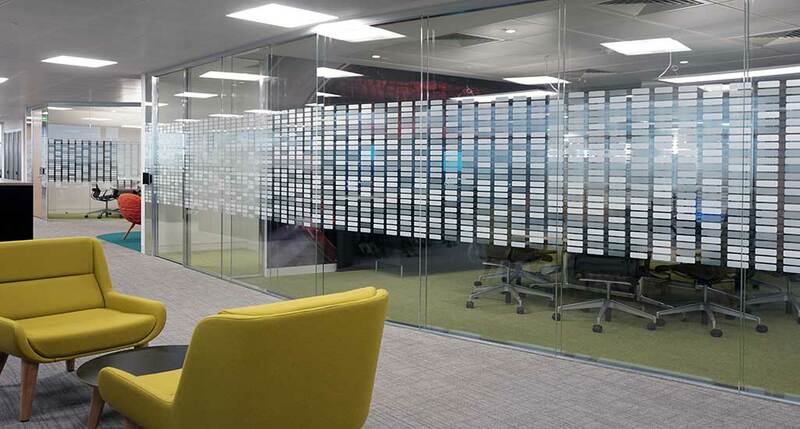 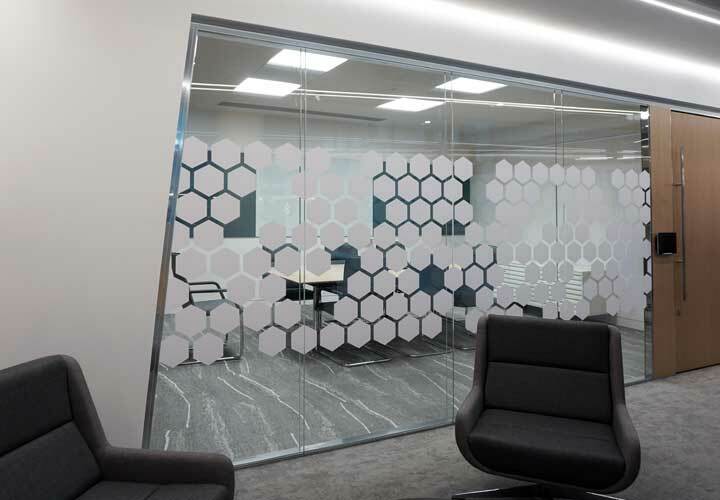 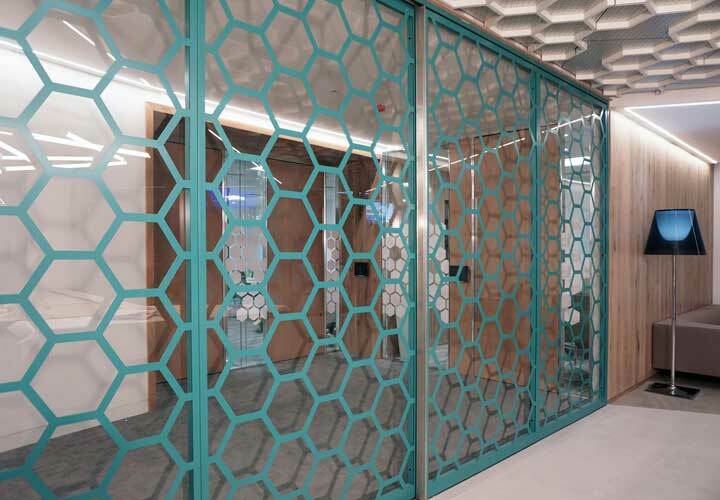 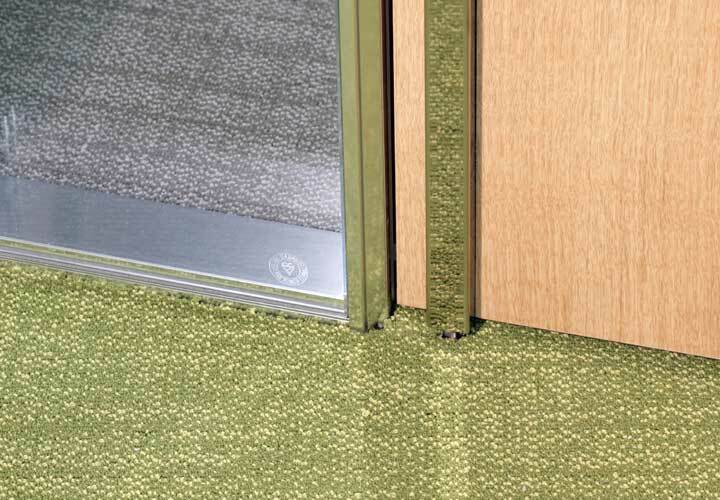 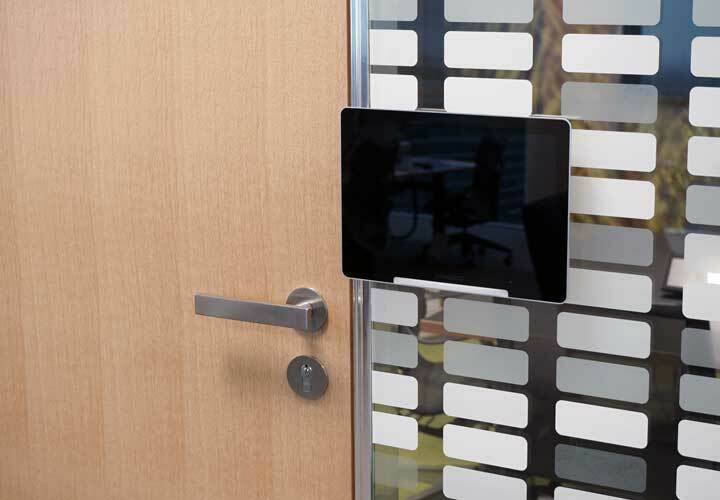 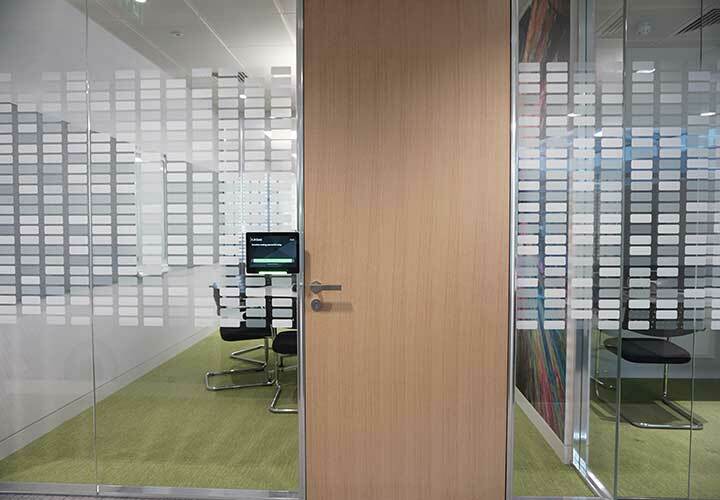 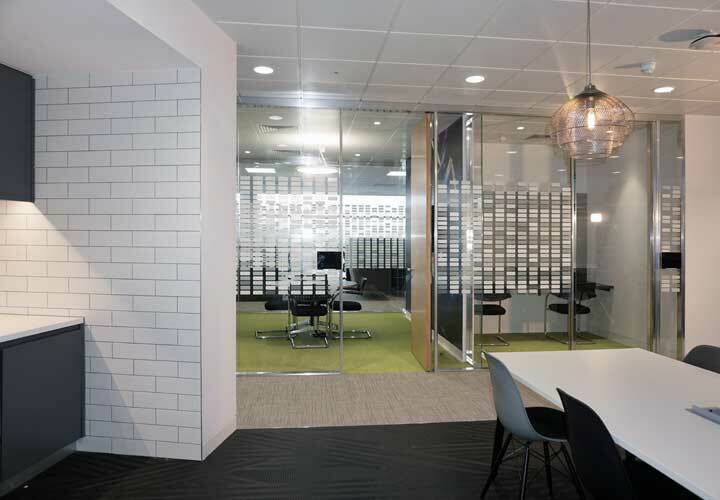 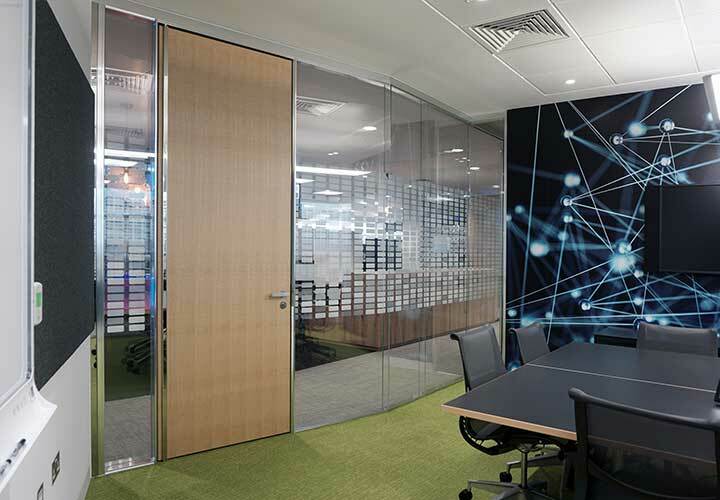 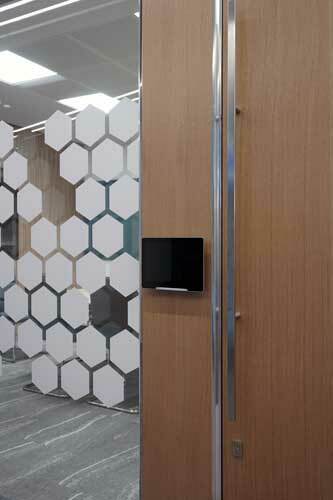 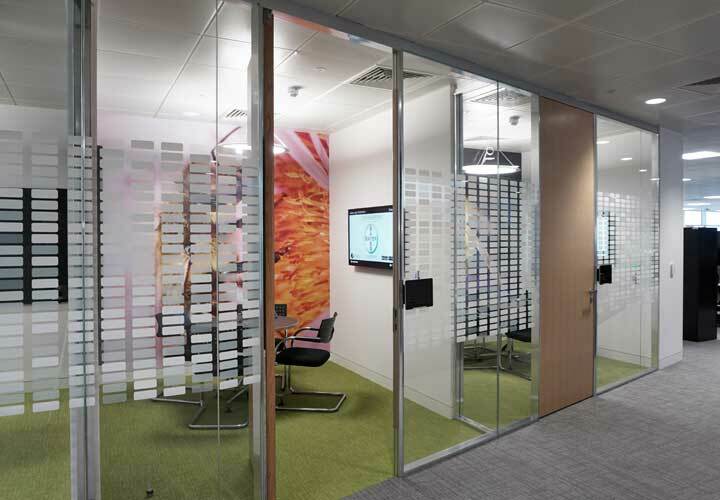 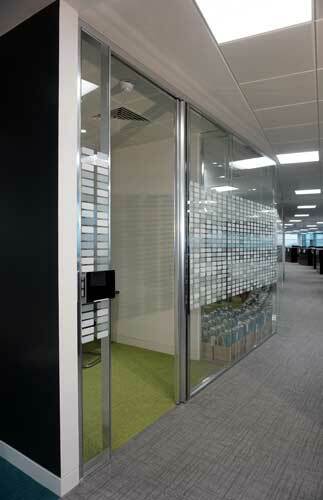 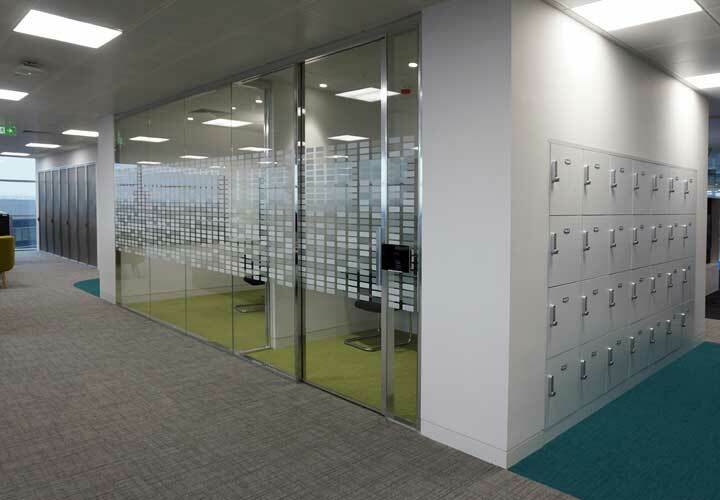 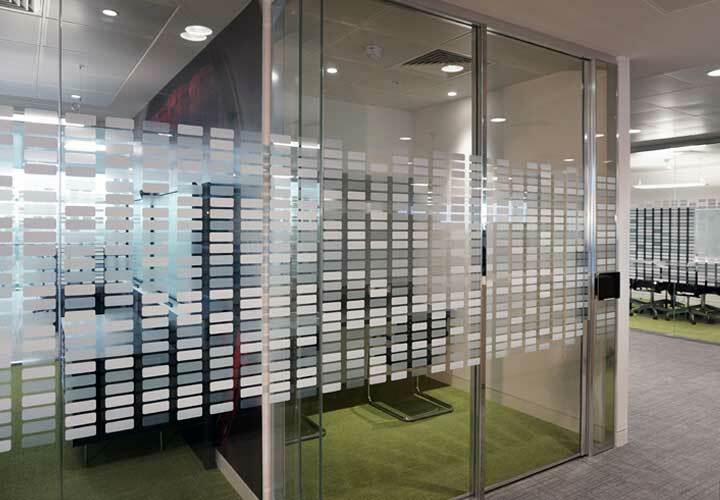 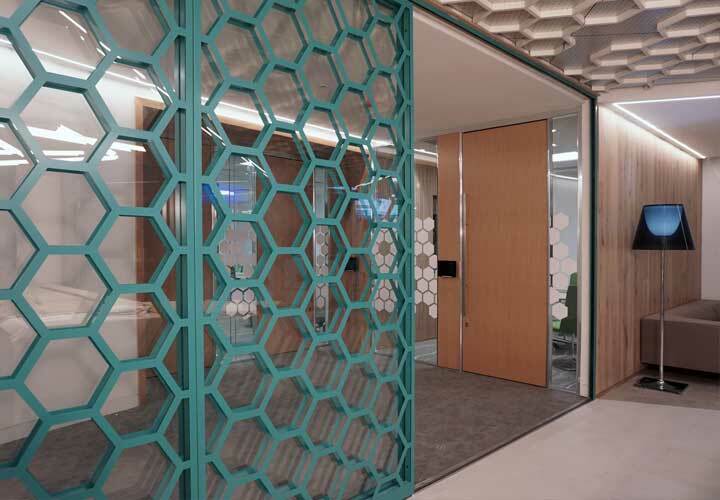 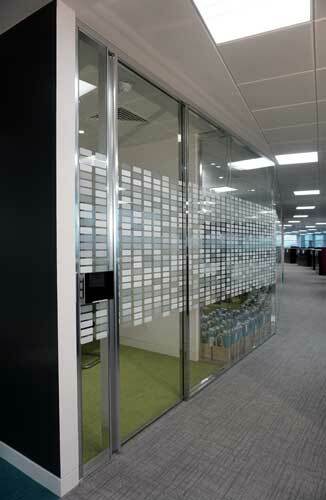 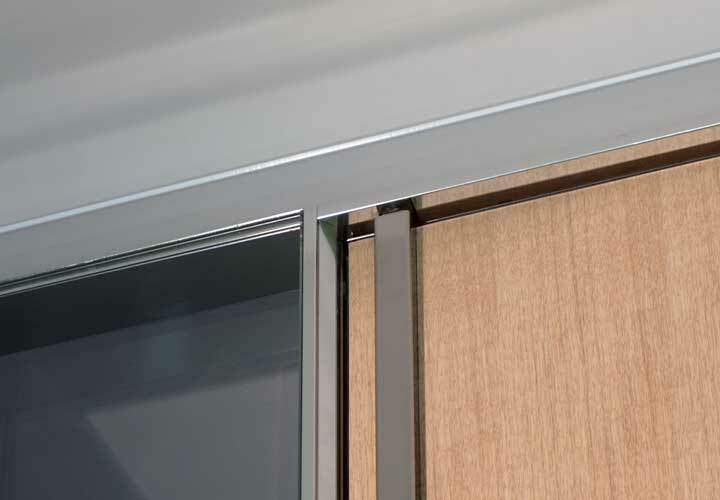 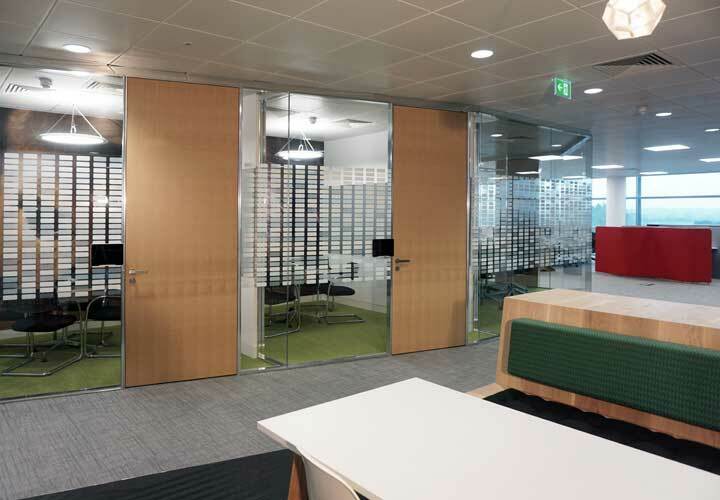 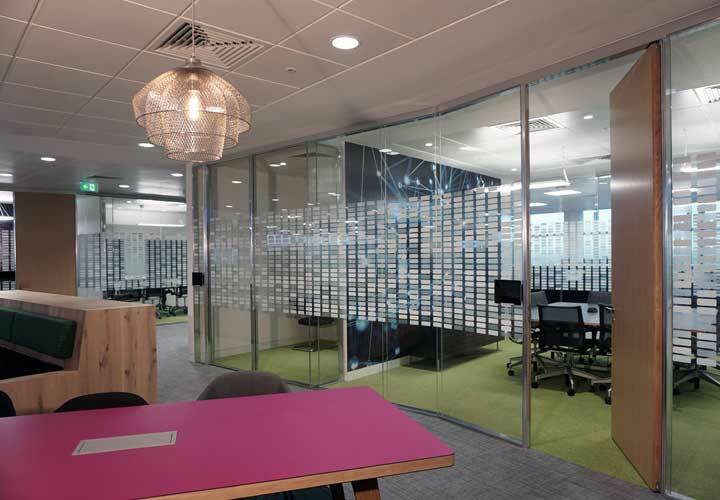 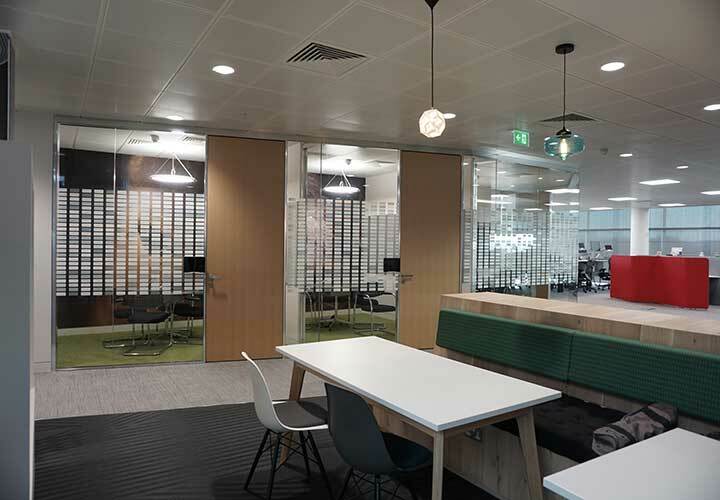 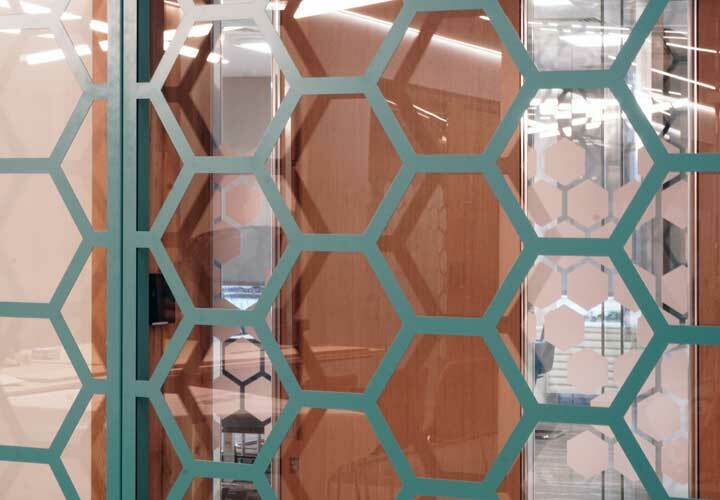 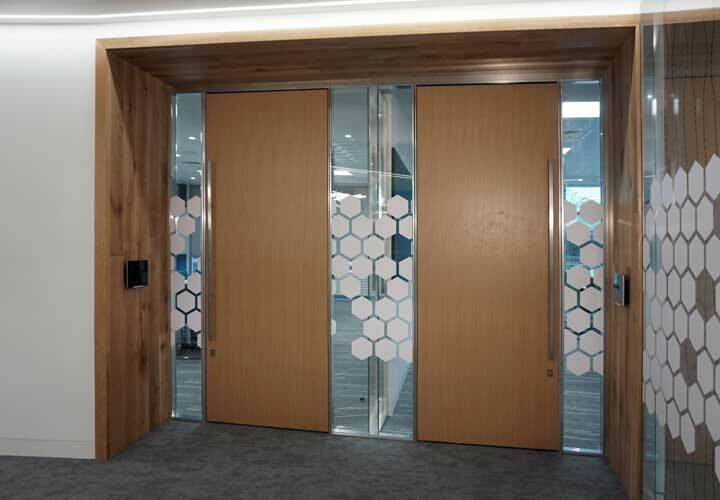 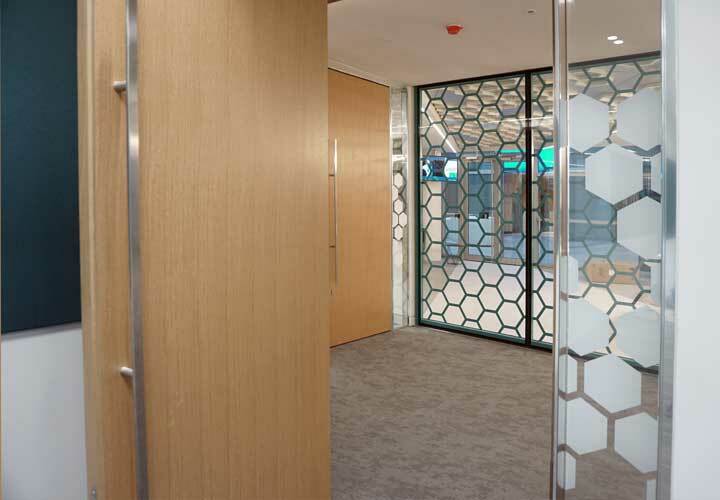 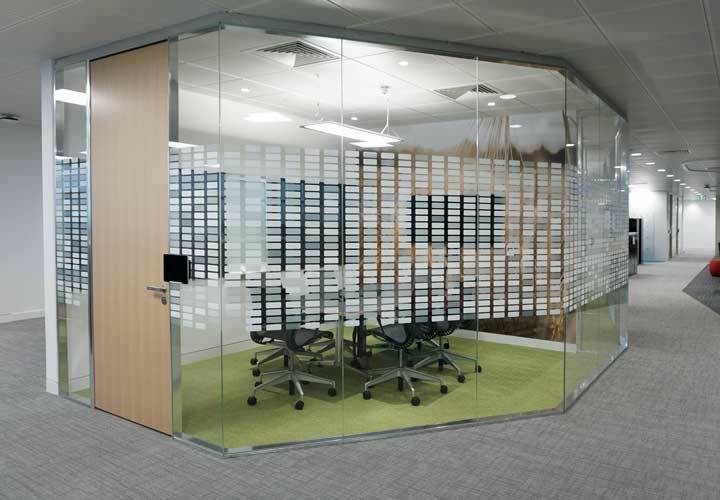 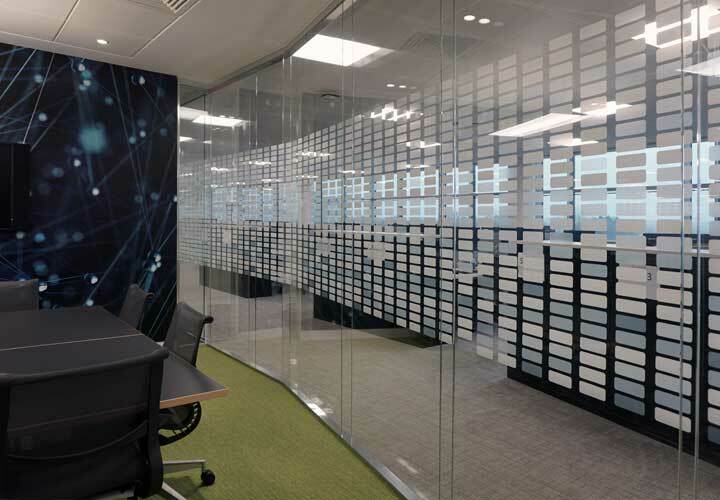 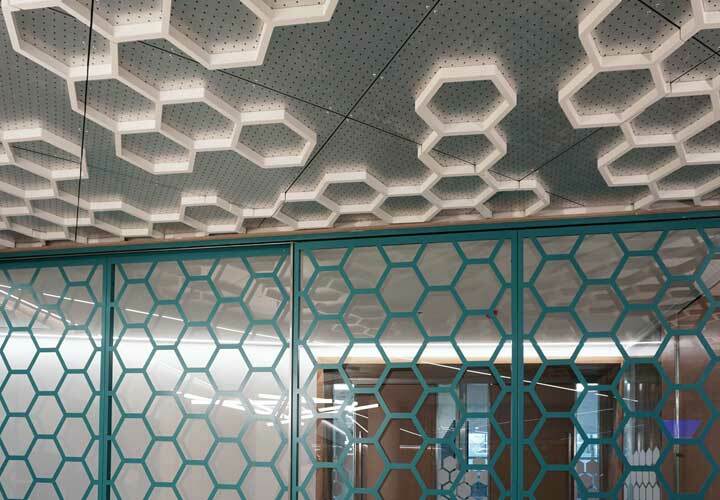 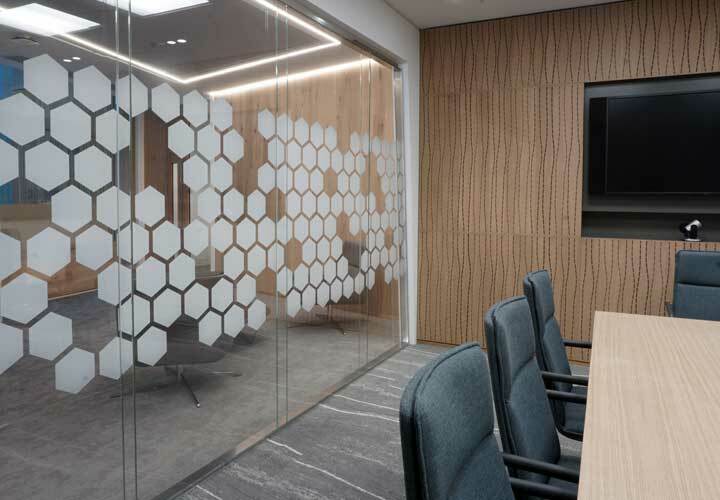 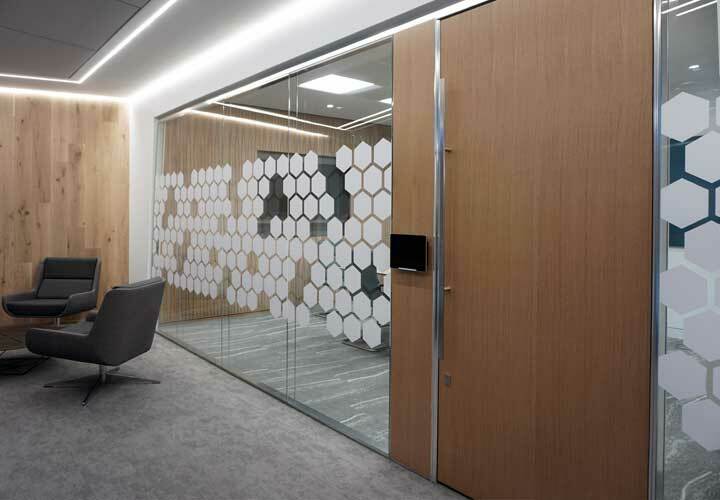 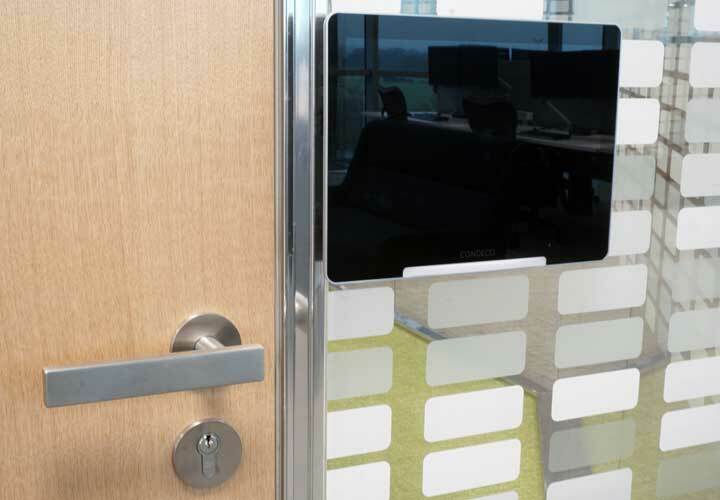 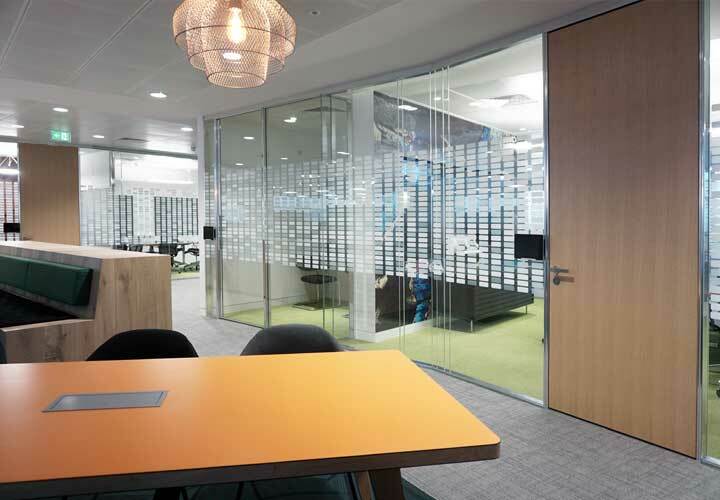 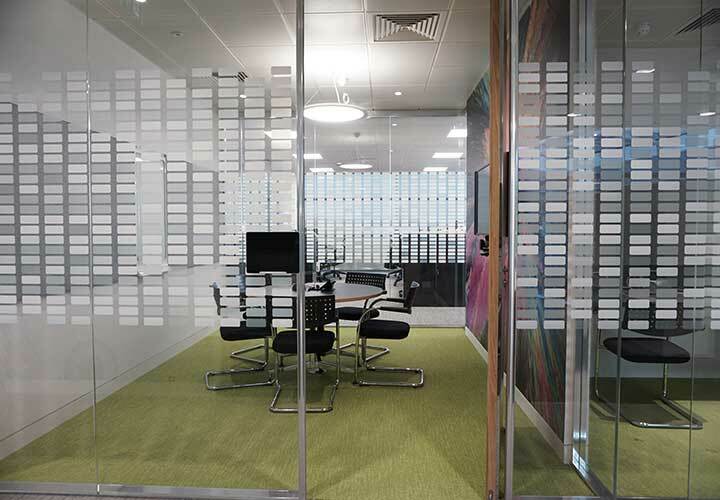 The partition system defines meeting areas of different specifications, with a mixture of single and double glazing, solid or glass sliding doors, but always to a uniform design and integrated in the solid dry walls. 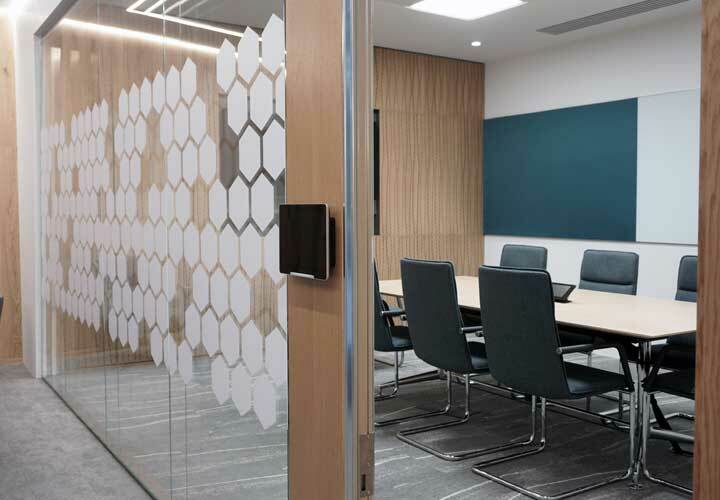 The mirror finish picks up the ceiling and floor colours, making the Vista system unobtrusive and discrete, allowing other features of the interiors to be more relevant.